This listing is for the sensor only. No O-ring washer or retaining cap will be supplied. Balboa 24" M7 sensors are fitted at each end of Balboa heaters. Designed for all M7 GS/GL Balboa spa packs they use the latest M7 sensor technology from Balboa which determine water temperature and flow rate passing through the heater assembly protecting you and the spa from over heating water conditions. 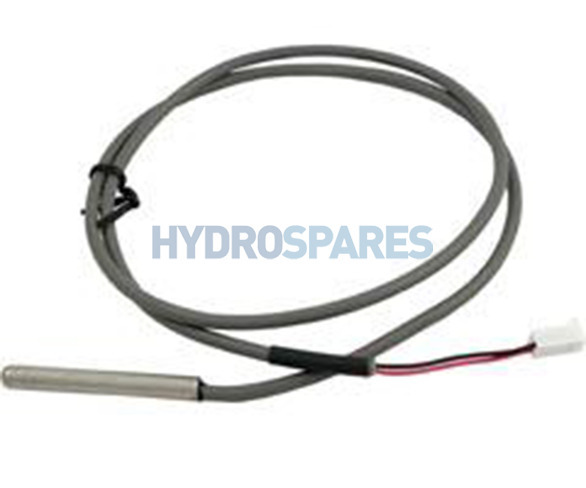 Sensors sold individually and direct repalcements for old and new Balboa part numbers - 30382, 32016 and 30344. Length from tip of sensor to the small two pin plug is 24". This sensor can be used to replace the shorter 12 inch sensor which cost more!